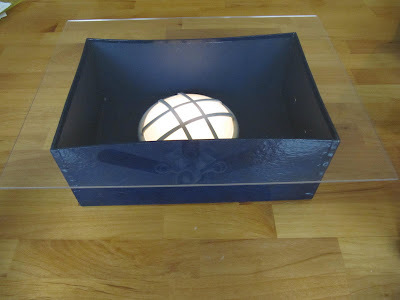 This is a quick and handy light box used to trace an image or pattern, especially from a quilt book or magazine that you do not want to destroy by cutting it up. 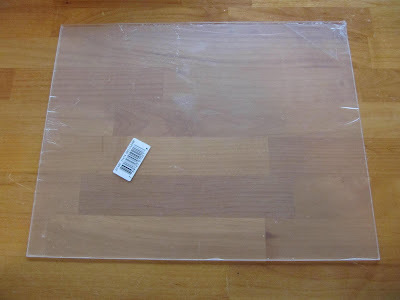 Do you know they sell pre cut pieces of plexi glass in the hardware store? Well, here is a picture of the 11 x 14 sheet. It's covered in plastic to keep it from scratching. The best part is, it's only $3.15 a sheet. 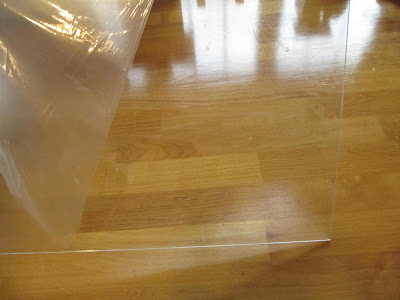 Here is the plexi glass with the protective sheet coming off. 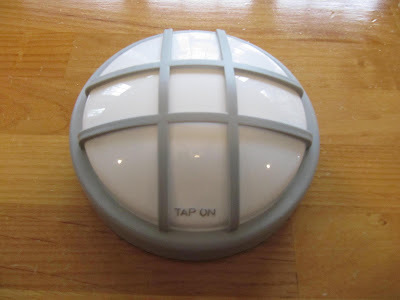 The next thing you will need is a tap light. 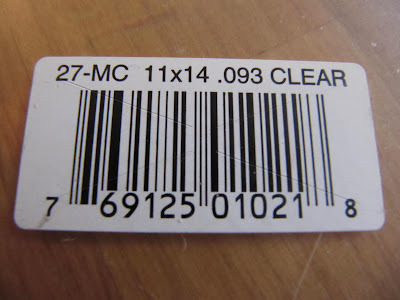 They are also found in hardware stores, Walmart and other stores selling housewares. 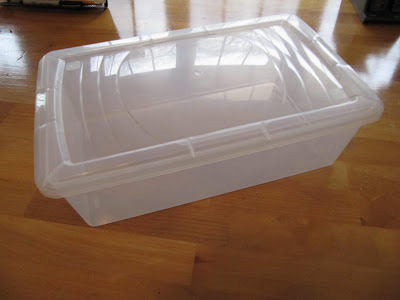 The next few pictures are the types of boxes that you can use. 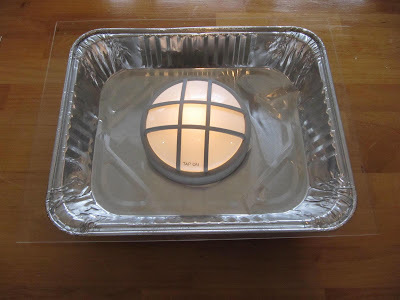 Use anything around the house, like this aluminum foil pan. 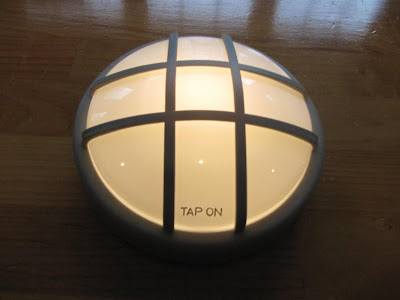 Just place the tap light inside and the plexi glass on top and you are all set to go. 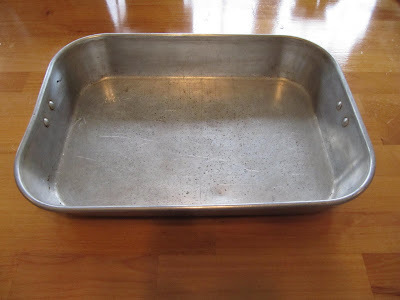 How about on old 13 x 9 baking pan. Just add plexi glass and light. 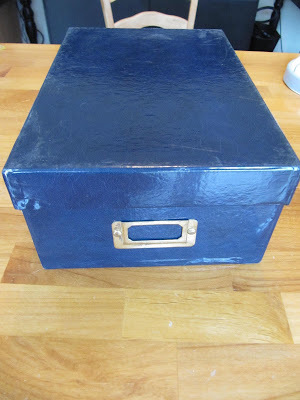 Here's an old photo storage box. easily transformed into a light box. and here's a covered storage box. All you need to do is place the original image on the box with the light on. Hard to see this, because it was so bright in the room at the time, but the tap light is on. Figures, there is great natural light for a photo and I don't need it. With this cheap and convenient light box you can take it any where. You can store all your quilting supplies in the box with the tap light and you can take it to a quilting class if you need to. spaceRemember ladies...always think outside the box...the light box that is!!! I can not help but smile and chuckle to myself about how you come up with all of these wondefulideas and sooooo cheaply. You are amazing....and yes....thank you....you know what for!!! Smiling again...can't get the grin off my face. Another bow to your creativity!! One Thousand Tank You's!!!!!! A very great idea!!! Sorry for my english. I don't speak your language. Your projects are always so great! I have a portable light box that I use all the time. They are really a handy item to have on hand. Too funny! You have to think outside the box. Great idea for the light box! Karen, thank you ALOT! This is a tool that I REALLY am going to take advantage of! We go RVing often and so space is limited. I can put all my applique pieces, the light and whatever else is needed to trace appliques right in the box/container for traveling. 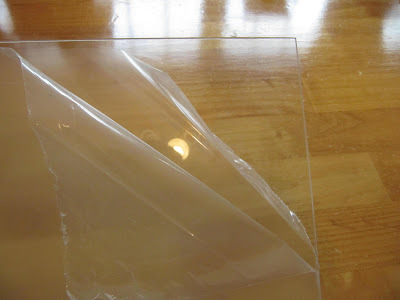 I have to make a trip to town today so I'm putting Home Depot on my list for Plexi glass and a battery operated light. 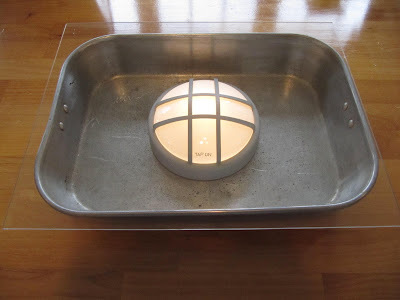 Another good idea, I use my Otte light under my acrylic sewing table top. Works great, but your idea would work fantastic for a class. Another great Tool time Tuesday idea! Thank you so much for thinking outside the box! Wouldn't you know, I just bought a light box, just two days ago!!! Where were you then? LOL It's a small one, but I will definitely try this for larger pieces. Thank you so much! Late one crafting night, I needed a light box and used my oven door. 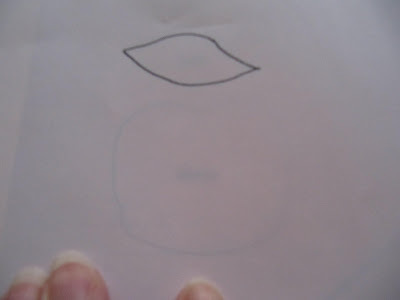 I taped up what I wanted to trace on the door, taped my blank sheet over top and turned on the interior light. Worked well but because it's vertical, I wouldn't do this for a long time! It was a no cost ready at hand remedy. Another winner............ Just the thing for those quilt gatherings. Bravo you've done it again!!! What a great use for my extra tap light! 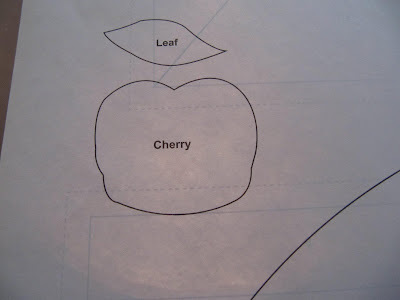 Great idea...thanks for sharing...now I need to figure out something I need to trace! Great idea. Thanks. I love how easy this would be to store (or re-use for other purposes). This is my most favorite ever Tool Time Tuesday tip Karen! I'm going to have my very own light box very soon! Thank you, thank you! perfect timing on this tutorial!!! I have a new stitchery project I am starting that I need to trace onto fabric.... was trying to figure out how to do it without leaning up against the windows or buying an expensive lightbox! 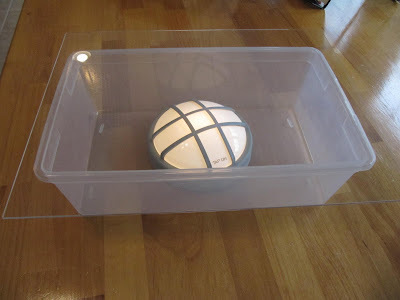 I was using a clear plastic storage bin upside down with a light under it as my lighting box. It wasn't large enough for some of my blocks, so I purchased a 18 x 24 inch sheet of acrylic. It's fairly thick and cost me twenty-four dollars!!! I still use the clear plastic storage bin, but it is turned right side up now, with the acrylic sheet on top and the light in the box. Wish I only paid $3.15 a sheet! :( Maybe plexi glass and acrylic are different, but that is all they had at the time. Love your great ideas! Love visiting your blog. The Battery light for the box is such a great idea. I have a free Block of the Month going on my blog if you interested. TREE TIME! Thanks again for all your great ideas. I love the tree mug use also. Karen!!! YOU are BRILLIANT!! LOVE THIS IDEA!! I am going to make this for sure...Well done! What a wonderful idea. I had seen in a blog just like a printer, but this idea of yours is very economical and we can recycle some things. I visited your page many times but I have not left comments because I do not speak English, although I understand some reading. Take this opportunity to thank him for all these tutorials and congratulate their jobs. 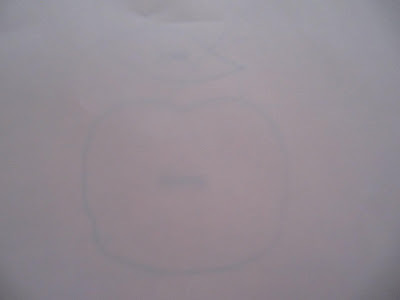 I'll make a link on my blog such a wonderful idea, with a new post. What a clever and practical idea! Wow what a wonderful innovative idea. I have been looking for something like this for a long time. Thanks so much. You are Brilliant! I can't believe I was going to actually BUY a light box! I would have never thought of this but glad you did and glad I read it in time to save me some money! Your Tool Time is my favorite section of your blog!! But I had missed this one until today!